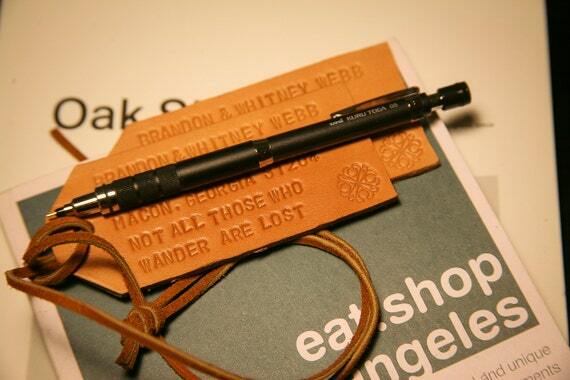 If you're looking for a gift for the world traveler in your life, check out today's Etsy Find from shop CheckOutLA. 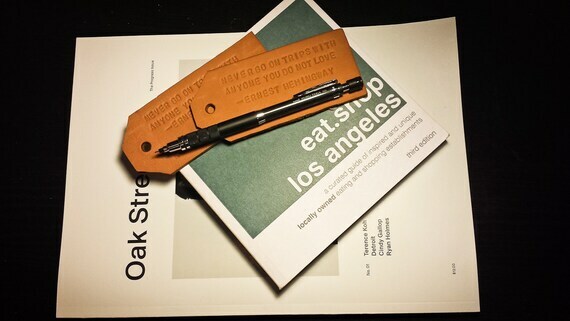 Based in Los Angeles, CA, owner Phil enjoys creating custom, bespoke leather luggage tags & gladly accepts large orders. Currently, Phil is offering a special coupon code - CRAFTYGIRL - for FREE U.S. shipping! So, here's the Etsy find: this handmade luggage tag is made of heavy weight vegetable tan 8-9 ounce leather and hand stamped & cut. Then it's dyed & coated with a water resistant sealant for protection and shine. It would look great with any style of luggage! Until next time, stay crafty (and do some traveling)!